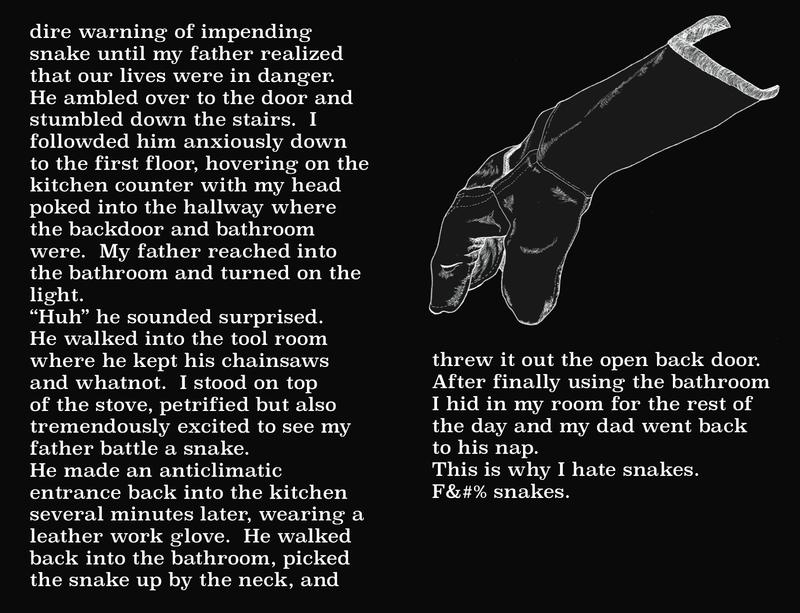 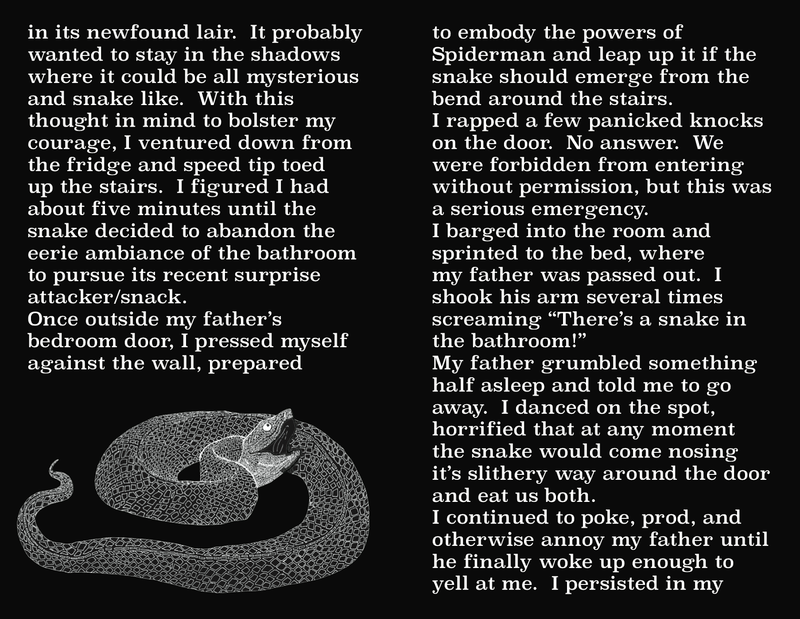 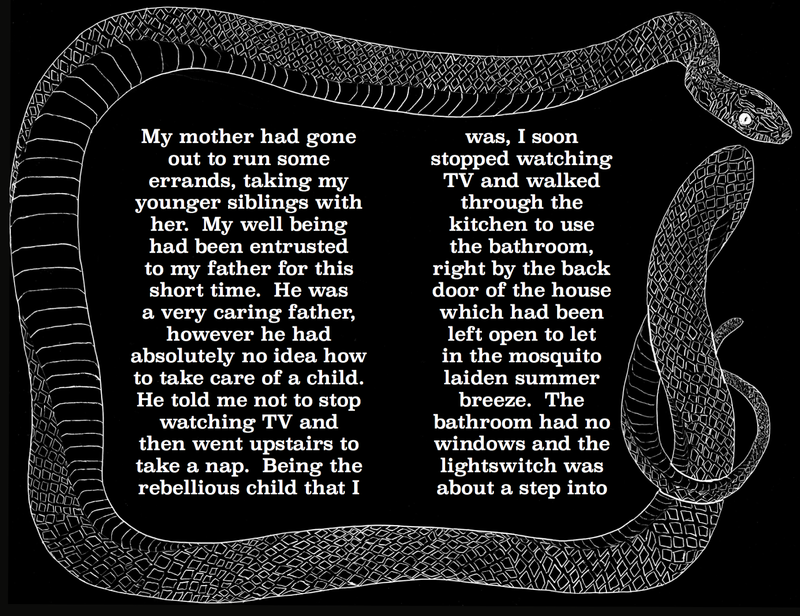 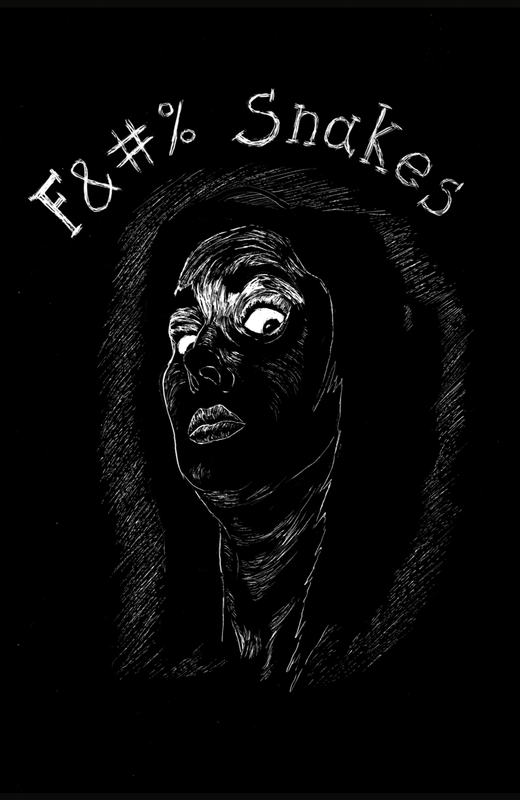 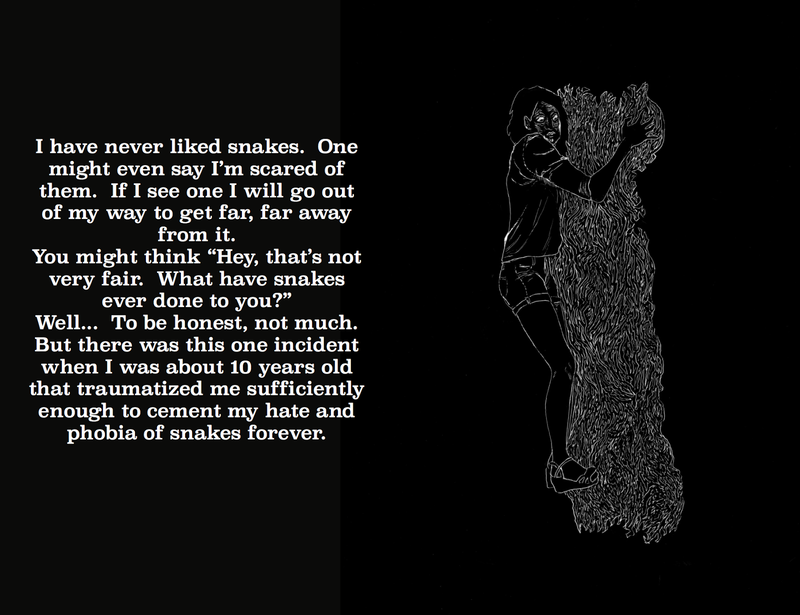 For my Illustration for publishing class I made a zine about why I am scared of snakes. 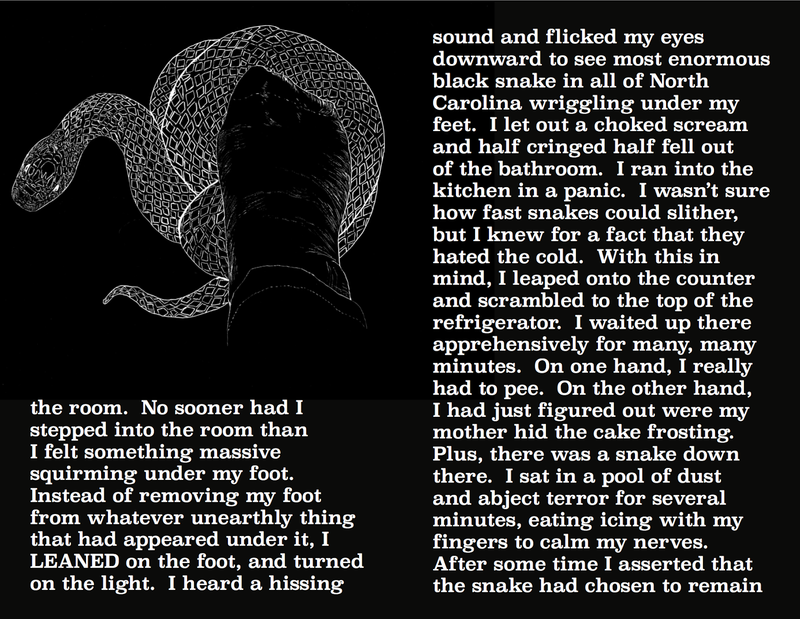 The coiled snake and the glove piece are inverted micron and the rest are scratchboard. 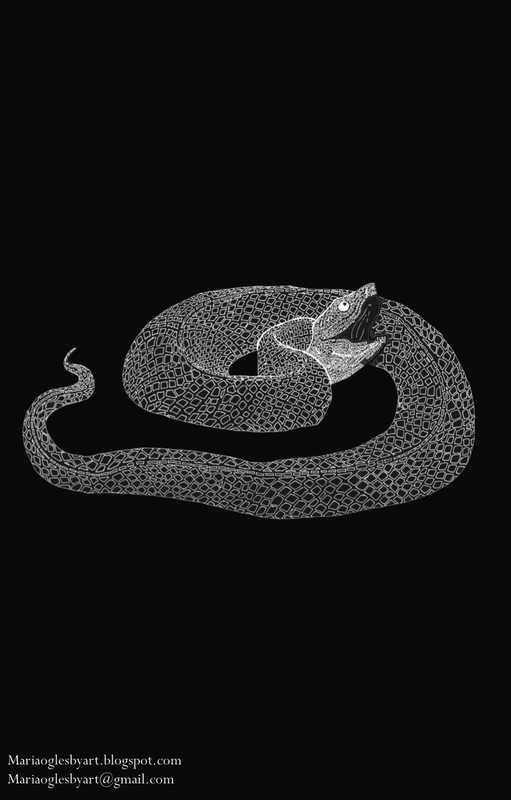 Size of the originals ranges from 8.5"x11" to 11"x17"